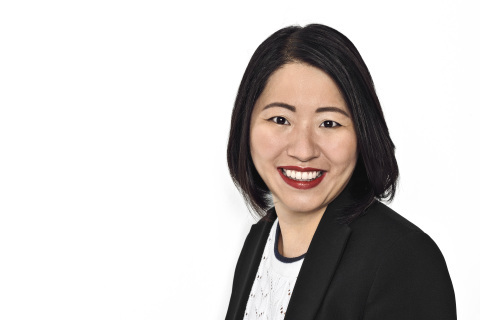 LAUSANNE, Switzerland & NEWARK, Calif.--(BUSINESS WIRE)-- Logitech International (SIX: LOGN) (Nasdaq: LOGI) today announced that its board of directors will ask shareholders to approve the election to the board of Marjorie Lao, chief financial officer of the LEGO Group. The election will take place at Logitech's annual general meeting (AGM) in Lausanne, Switzerland on September 5, 2018. Sally Davis and Sue Gove have decided not to stand for re-election to the board at the 2018 AGM when their current terms end. Sally Davis has been a non-executive member of Logitech's board of directors since 2007, is chair of Logitech's Nominating Committee and serves on Logitech's Compensation Committee. Sue Gove has been a non-executive member of Logitech's board of directors since September 2015 and serves on Logitech’s Audit Committee. Guerrino De Luca, chairman of Logitech, commented: “It’s a pleasure to welcome Marjorie to Logitech. She brings with her extensive experience in global finance, senior leadership, business strategy and M&A from tech and brand marketing brands like Tandberg, Cisco and currently LEGO. She joins a fantastic team at an exciting time for Logitech. Additionally, Logitech’s board of directors has approved and proposes an annual dividend for Fiscal Year 2018 of approximately CHF 0.67 per share* – an approximately 10 percent increase compared to FY 2017 – following Logitech’s highest level of cash flow from operations in eight years. The gross aggregate dividend is subject to shareholder approval at Logitech's annual general meeting (AGM) in Lausanne, Switzerland on September 5, 2018. If the dividend proposal is approved by shareholders at the Company's AGM, the approximate payment date for the dividend is expected to be September 21, 2018. Logitech expects to publish its annual report to shareholders and its invitation for its 2018 annual general meeting in July 2018. The Company also intends to file its preliminary proxy statement, which includes additional information regarding the nominees and other proposals for the AGM, with the U.S. Securities and Exchange Commission and post it on the Company's website at http://ir.logitech.com in July 2018. Logitech designs products that have an everyday place in people's lives, connecting them to the digital experiences they care about. More than 35 years ago, Logitech started connecting people through computers, and now it’s a multi-brand company designing products that bring people together through music, gaming, video and computing. Brands of Logitech include Logitech, Ultimate Ears, Jaybird, Logitech G and ASTRO Gaming. Founded in 1981, and headquartered in Lausanne, Switzerland, Logitech International is a Swiss public company listed on the SIX Swiss Exchange (LOGN) and on the Nasdaq Global Select Market (LOGI). Find Logitech at www.logitech.com, the company blog or @Logitech. This press release contains forward-looking statements within the meaning of the federal securities laws, including, without limitation, statements regarding: dividends, the timing of dividend payments, the timing of the AGM, and the timing of various filings. The forward-looking statements in this release involve risks and uncertainties that could cause Logitech's actual results and events to differ materially from those anticipated in these forward-looking statements, including, without limitation: if our product offerings, marketing activities and investment prioritization decisions do not result in the sales, profitability or profitability growth we expect, or when we expect it; the demand of our customers and our consumers for our products and our ability to accurately forecast it; if we fail to innovate and develop new products in a timely and cost-effective manner for our new and existing product categories; if we do not successfully execute on our growth opportunities or our growth opportunities are more limited than we expect; if sales of PC peripherals are less than we expect; the effect of pricing, product, marketing and other initiatives by our competitors, and our reaction to them, on our sales, gross margins and profitability; if our products and marketing strategies fail to separate our products from competitors’ products; if we do not fully realize our goals to lower our costs and improve our operating leverage; if there is a deterioration of business and economic conditions in one or more of our sales regions or operating segments, or significant fluctuations in exchange rates; the effect of changes to our effective income tax rates. A detailed discussion of these and other risks and uncertainties that could cause actual results and events to differ materially from such forward-looking statements is included in Logitech's periodic filings with the Securities and Exchange Commission, including our Annual Report on Form 10-K for the fiscal year ended March 31, 2018, available at www.sec.gov, under the caption Risk Factors and elsewhere. Logitech does not undertake any obligation to update any forward-looking statements to reflect new information or events or circumstances occurring after the date of this press release. Logitech and other Logitech marks are trademarks or registered trademarks of Logitech Europe S.A. and/or its affiliates in the U.S. and other countries. All other trademarks are the property of their respective owners. For more information about Logitech and its products, visit the company’s website at www.logitech.com. * Based on the number of shares outstanding as of March 31, 2018. The actual number may change as of the record date.